Smitten with a Scimitar? – HubNut – celebrating the average! So, I’ve finally collected the Scimitar, but is it as good as I hoped? After the 120 mile drive home, I think generally, the answer is yes. Ok, so electrical gremlins are already rearing their head with a low reading on the voltmeter when lots of kit is on, but the combination of tight handling and lusty Ford Essex V6 have already started to make an impression. 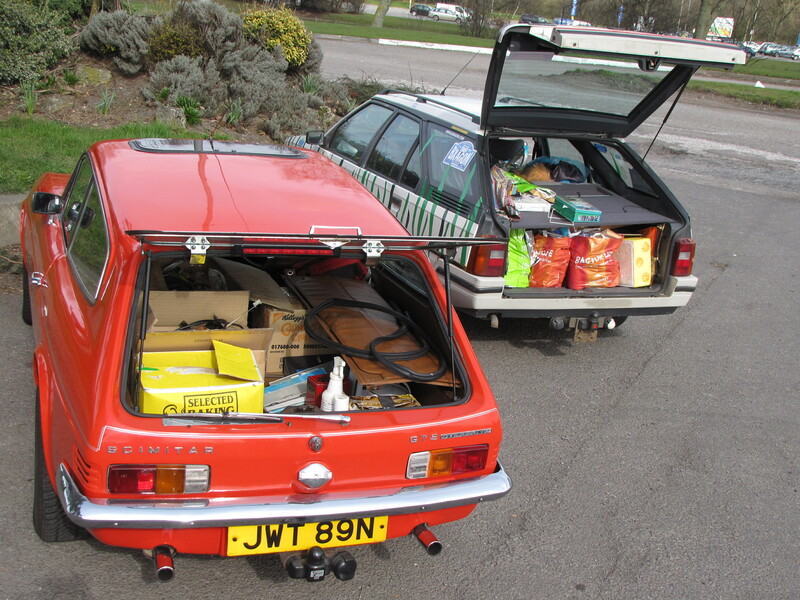 As has the load carrying capacity – the back is still full of spares and literature so I’ve got more than the car to get familiar with. Sorry, I can’t really add much. I bought it from a chap who had owned it for a few years and really looked after it. I only kept it a few months myself, as that’s rather my nature! Great car though. It did appear in Classic Car Buyer a couple of times during my ownership. I shall have to dig around and find the features, thanks for the reply!